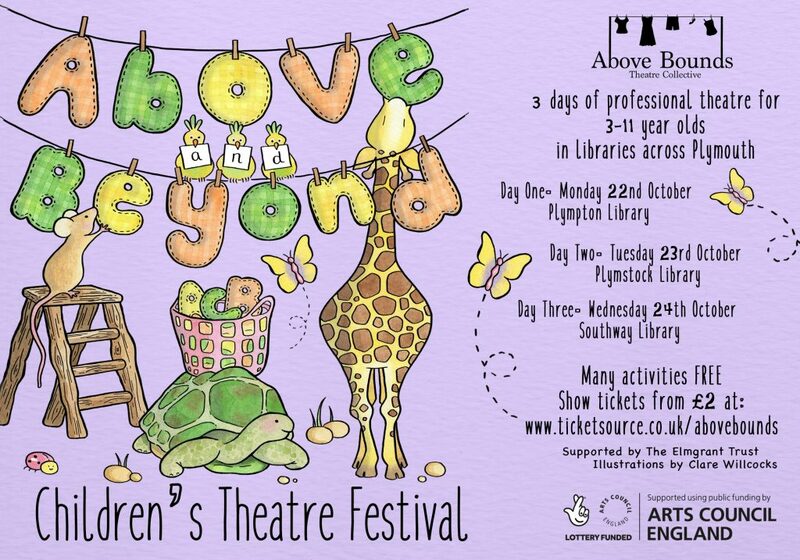 Above & Beyond is a brand new children’s theatre festival for Plymouth curated by Above Bounds Theatre Collective. 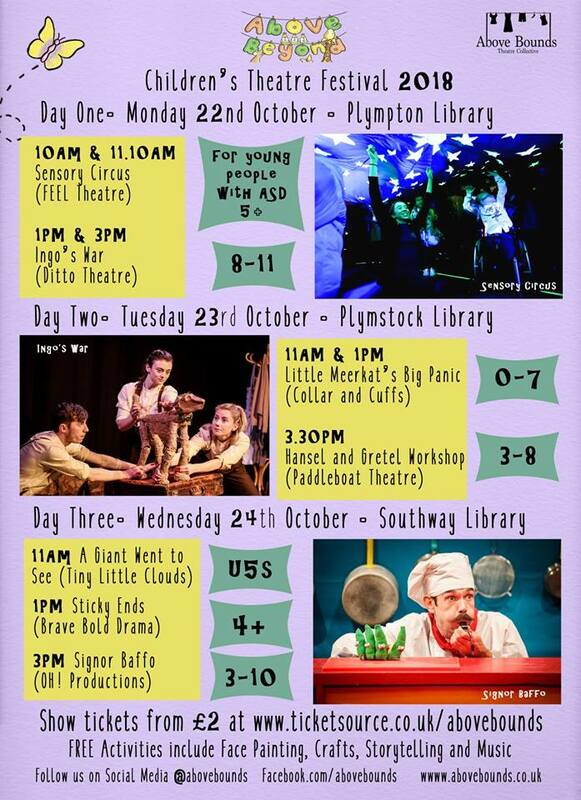 Over 3 days during October half term, we will be bringing some of the UK’s most innovative children’s theatre companies to 3 libraries across Plymouth. Tickets will be affordable and accompanied by FREE activities including face painting, storytelling, music and crafts. For the first year of the festival our programming theme is imagination. Bring your little ones along to Plympton Library (22nd October), Plymstock Library (23rd October) or Southway Library (24th October) for an amazing array of shows and activities to feed your imagination, stimulate your senses and sharpen your mind. Buy your tickets here: ticketsource.co.uk/abovebounds This Project has been supported by The National Lottery through Arts Council England and The Elmgrant Trust.